My son was so excited for Captain Jake and the Never Land Pirates and he was super excited to play this right away and watch it. What little boy don't like Jake and the Neverland Pirates?? 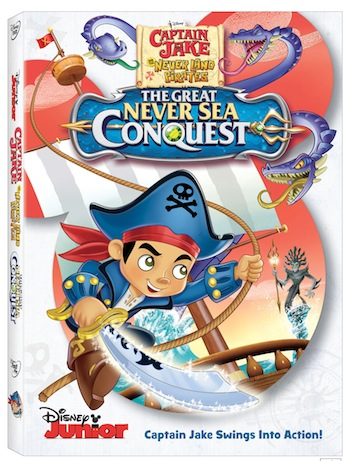 All of episodes the great sea conquest and they have 6 additional episodes also the kids will love. If you are one who gives your kids gifts at Valentine's Day or makes baskets this would be nice to add to that. “Never Land League of Pirate Captains” as They Battle the Evil Lord Fathom! is an exclusive 3D Colossus puzzle ship you can’t get anywhere else! 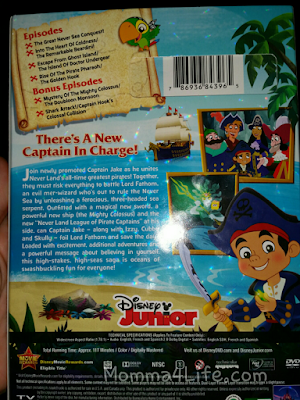 Synopsis: Join newly promoted Captain Jake as he unites Never Land’s all-time greatest pirates! When evil mer-witch Ezmeralda tries to take over the Never Sea by awakening the Strake, a legendary three-headed sea serpent, Jake and his crew try to intervene but encounter Lord Fathom and his sidekick Sinker. 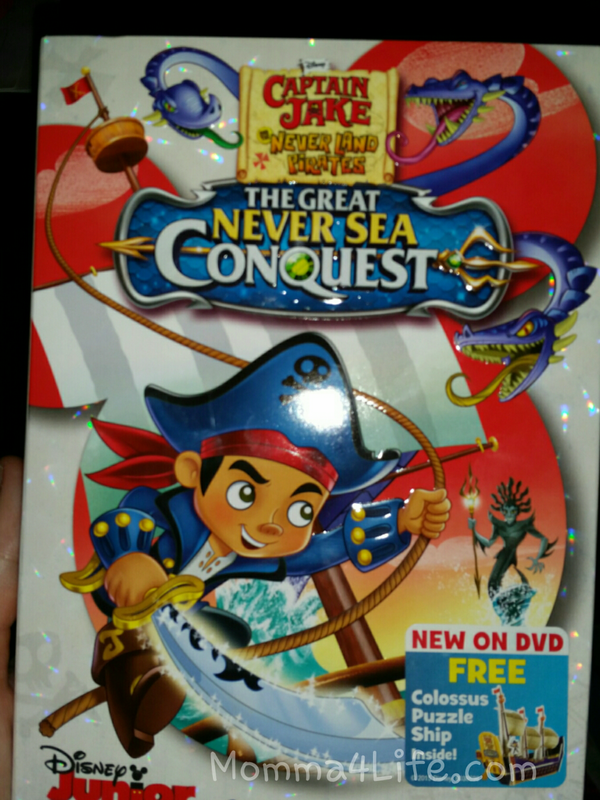 Jake forms a team of "Never Land League of Pirate Captains" to battle them all and in the process, outfitted with a magical new sword and a powerful new ship, (the Mighty Colossus), he becomes a Captain himself. Loaded with excitement, additional adventures and a powerful message about believing in yourself, this high-stakes, high-seas adventure is oceans of swashbuckling fun for everyone! Talent: Sean Ryan Fox and Riley Thomas Stewart as Jake, Megan Richie as Izzy, Jadon Sand as Cubby, David Arquette as Skully and Corey Burton as Captain Hook.